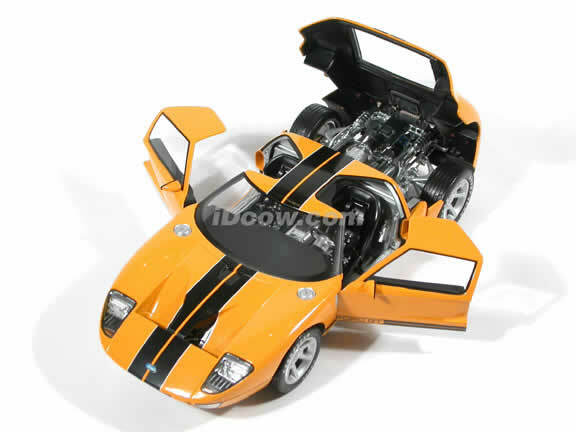 Highly detailed 2004 Ford GT Concept diecast model car 1:18 die cast by Beanstalk Group. 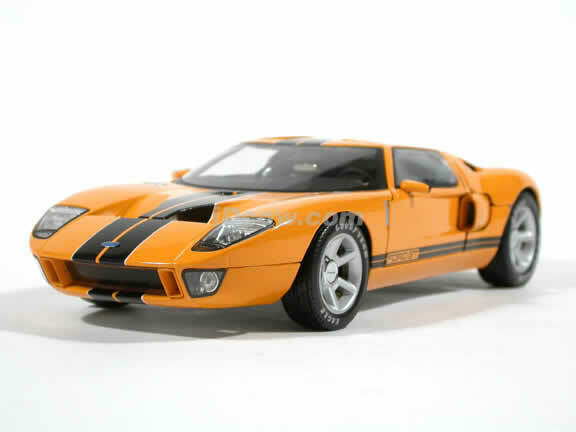 Ford GT: an international superstar and the ultimate living legend. Every curve on the car is a unique interpretation of the original. 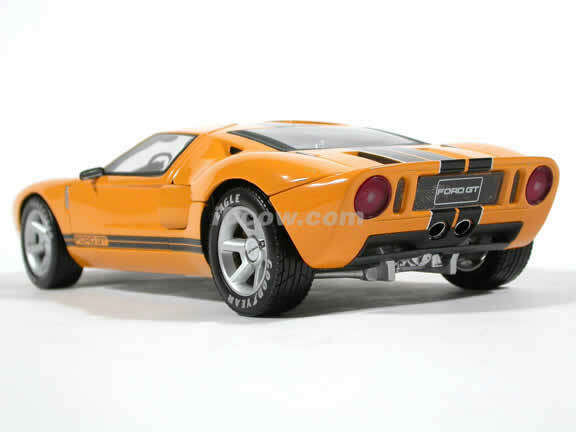 The long front overhang is reminiscient of the 1960's era GT. In the tradition of championship racers, the doors cut the roof. The rear wheel wells, filled with 19" wheels, define the rear of the car and the accent lines from the front cowl rejoin and finish the car's profile at the ducktail spoiler. 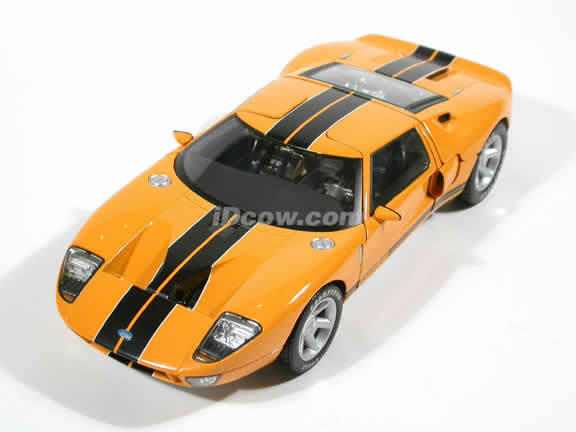 Inside, a supercharged 5.4L 32 Valve V8 pounds out more than 500 hp and 500into of torque, sufficient to propel the race-inspired Ford GT40 at more than 200 mph on the Mulsanne straight at Le Mans. 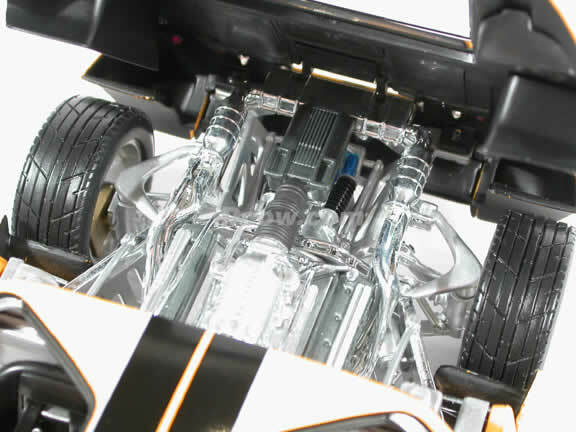 The power is put to the road through an RBT 6-speed transmission and 6-piston aluminum Alcon calipers handle braking. 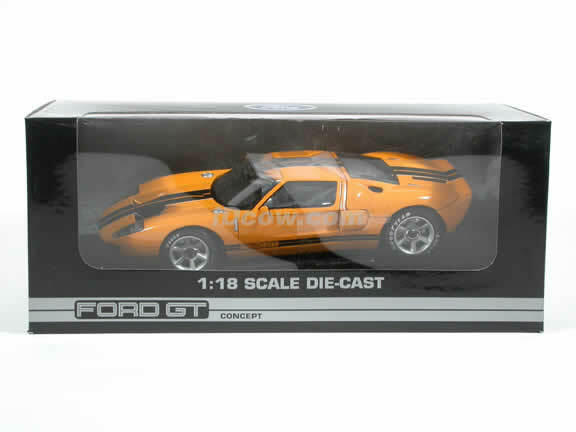 This exquisite diecast replica has been developed under the direct supervision of the Ford GT Design Team. 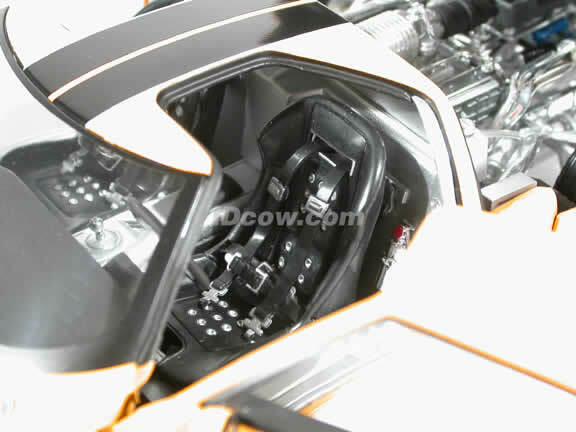 The body is fabricated from the original Ford GT surface data, and the smallest detail right down to the size and position of the toggle switches on the instrument panel have been signed off on by Ford GT team specialists. Even the art on the box is an original sketch created in Ford's Living Legend Studio. This is truly a replica in the eyes of the original! 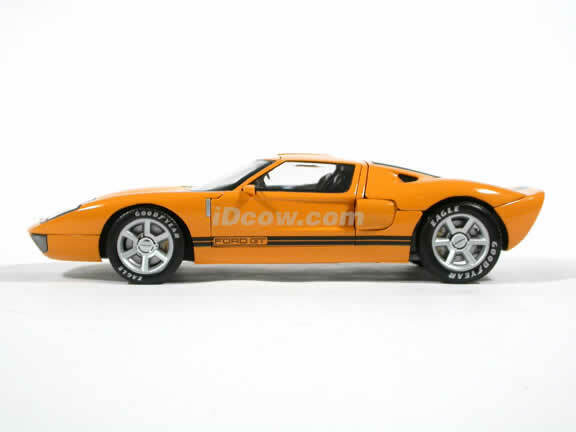 2003 Ford GT Concept diecast model car 1:18 die cast by Beanstalk Group.